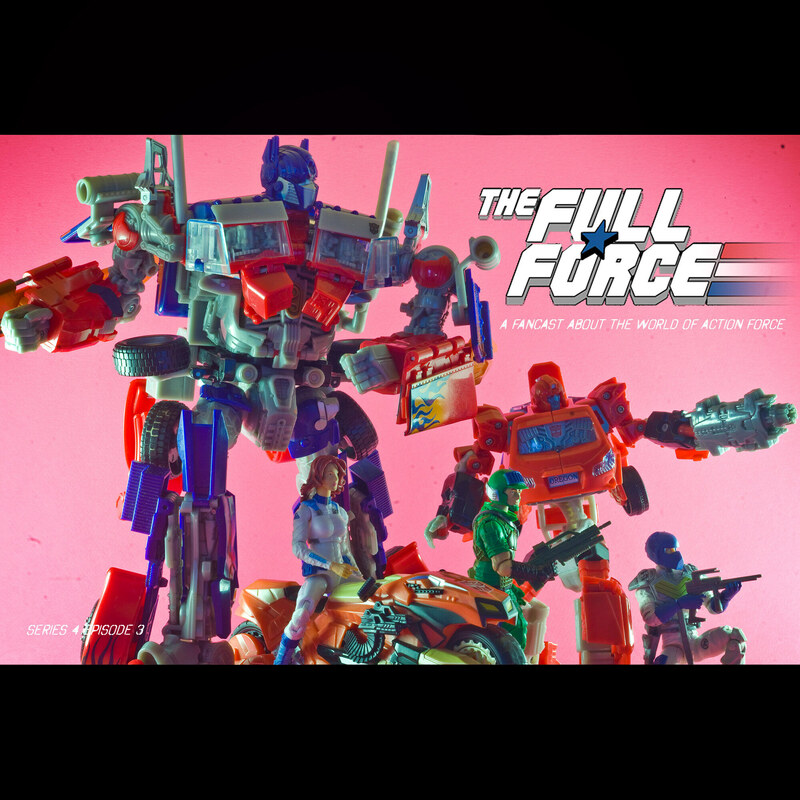 Oh look, it's a brand new edition of The Full Force! On this episode we are going full on Revolution with an awesome giveaway for one lucky listener as well as giving you a full on audio chubby with an action-packed and fully loaded podcast! Joining Chris in the crusade to make Action Force more than just the redheaded stepchild of an already pretty redheaded stepchild is a man that put the ’Krak’ in Kraken; David ‘800813’ Tree!! We are also joined by two almost regulars due to the mysterious disappearance of Eddie ‘The Eagle’ Inman, a man that puts the ‘ouch’ in Gaucho, emmy award winning actress, freelance Joe Club artist and comic cover wizard extraordinaire, Adam ‘Madame B****ez’ Riches and freelance artist, designer and 6-time olympic gold medal winner in synchronised swimming, Troyz ‘and Gamez’ McKie!!! How do we follow the last episode I hear you ask, well we record for hours and then Chris has to edit it, pretty simple really, we have all the NEWS brought to you by Justin Bellerina at General’s Joes, including info from SDCC, new exclusive toys and products from BAIT, Alpha Industries and 1000Toys, sad news again as another G.I. Joe legend passes away and we get Boss Fight Studio's Dave Proctor and General's Joes Justin Bell to help us with another fantastic INTERVIEW with the guys behind the Zombie Lab Kickstarter project!! There's all the usual segments, a massive bulging MALE BAG, WHAT WE GOT IN, SHOUTOUTS and we take a short but sweet trip down memory lane with the 90’s Action Man in the FIGURE REVIEW! !…….FULL FORCE! !